First 3 days of riding in Penticton! Ladies and Gentlemen....it begins!! Spring! At least it has in Penticton B.C. We are going to try something different this year. The first 3 days will be easier days with the intent of keeping the group together with the exception of hill/climbs. On the flat sections the group will stay as one giving everyone a chance to practice the edicates of riding in a group. I also hope this will allow more people to ride more days through the week or better yet, everyday. All climbs are a free for all everyday with meeting spots at the top. Each day we will meet at the Denny's at 939 Burnaby Ave W. Just google Penticton Denny's for directions. Be sure to be prepared everyday. Bring tubes, a pump, 2 bottles, food and maps of the days ride. It is also highly recommended that you find a riding buddy. If you do not have one don't worry, we'll make sure your looked after. First day is Sunday May 11th. 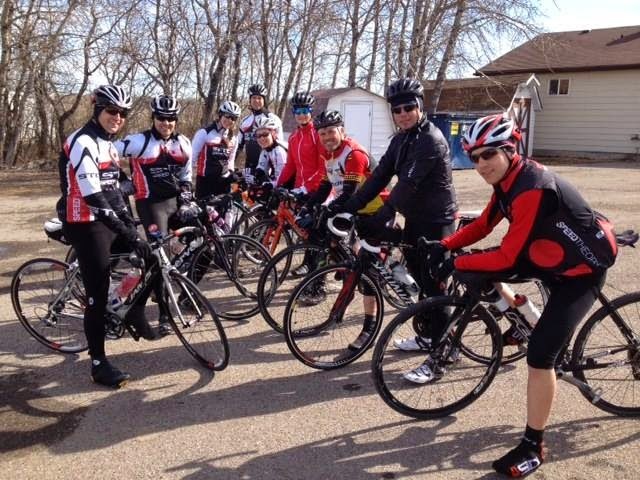 May 11th, Day 1 9:30 am: A shorter day at 103 km to help everyone get warmed up. We will make a quick stop in Oliver for water, food and facilities. Then continue up to area 51 and home through OK Falls. May 12th, Day 2 9:00 am: A little harder and slightly shorter at 99 km. We will start with "The Wall" then up to White Lake Rd with a stop at the end of White Lake Rd for food, water and facilities. We will then ride up Green Mountain Rd then down to Penticton. May 13th, Day 3 8:30 am: This is the first long day. We will again stop in Oliver for food and water then continue on to Osoyoos. There will be no stop for food in Osoyoos before Anarchist. The climb up Anarchist will end at the Sasquatch as always. We then descend back to Osoyoos where we stop for a full lunch at the Timmies!!! Best Timmies in all of Canada, especially if it hot out! ;) After Tim Hortons we will ride back to Penticton the same way we road out. I hope to have more rides posted in a couple of days so stay tuned. No mountain stages this year, but the prologue is in Calgary. Possible Jasper/Banff stages next year. Sibbald Creek 20km ITT, April 20th. Sunday 11am - Sibbald Creek 20 km ITT - Start time is 11am sharp so plan on being at the meeting location no later than 10:30am to allow for registration and a warm up. Off highway 1, 33km West of Calgary, 16km past Highway 22 (Cochrane/Bragg Creek turnoff), take exit 143 Hwy 68 (Sibbald Creek Trail). Park on right (north side of Highway 1), race begins a few minutes up the hill. Please do not park at the start/finish line. Here is where you will be parking. Have fun! 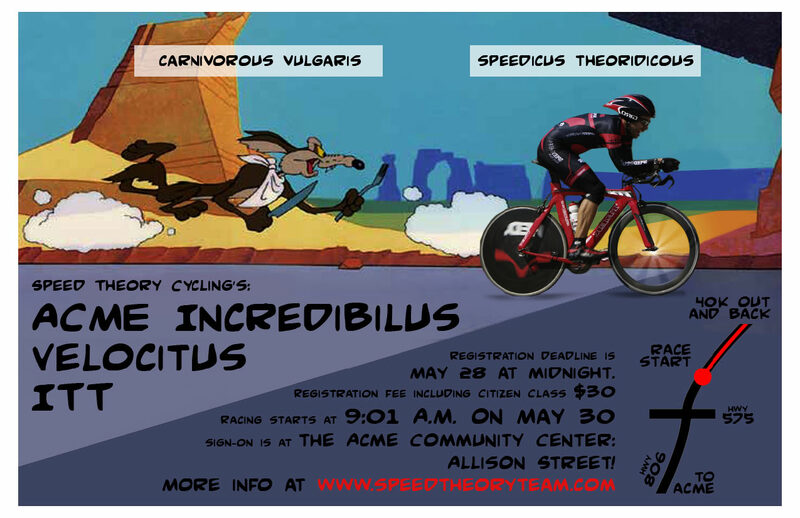 This is a low key event and a great introduction to pure bike racing if you have not tried it. This is a 'Time Trial' where you are riding on your own to see how quickly you can cover 20km. So the intimidation factor is extremely low. Just show up and tell them you are new and they will take care of you. Penticton Training Camp is coming! The 9th Annual STC Penticton Training Camp is almost upon us! I noticed in the Training Forum some posts about Penticton accommodation. Let's bring this out onto the main page so everyone going to Penticton can see it regularly. Comment on this post if you are looking for roommates, or a private house, or anything that would help you getting you and your bike to Penticton. Also, comment on this post if you are going for your first time and looking for riding buddies of similar ability. Harley, Sarah, and Ernie will do a super job of hosting the camp, but they can't be in all locations at all times. Do what Harley suggested at the AGM: know the daily route, carry the correct amount of nutrition, and know how to change a flat yourself. I will get on Ernie and Harley to start posting the routes soon, but for now, use this post to start the chatter about Penticton, even if you just want to post that you are excited to get away from this city with the never-ending winter for awhile! Follow up from Jenn Turcott's talk at the AGM. Please show your support for Cycle Tracks! On April 16th, the recommended Cycle track network will be coming to the Standing Policy Committee on Transportation and Transit and members of Calgary City Council will be voting on it. This is an extremely important vote. If it loses, it will set back safe cycling in Calgary for years. Unfortunately Council has been hearing a lot of negative and false information from their residents regarding cyclists. They are being told that cyclists do not pay taxes because we do not own vehicles (vehicle registration is collected by the Provincial government and none of that revenue goes to cities); that we live in a car city; that winter last six-months of the year and people shouldn't ride bikes in winter to very hostile comments of people saying that we should be run down. Contact your Member of Council and the Mayor—we need to let our members of council know that cycling is important to Calgary. It will provide safe and alternative modes of transport in the Centre City. Tell your friends to write/call too! Calgary cannot build anymore roads into the Centre City and alternative modes of transportation are desperately needed. The Cycle Route Network will provide 3% of transportation funding to cycling which currently contributes to the 3.5% of people commuting into the Centre City via bicycles. Providing cycling infrastructure is extremely cost effective and saves on infrastructure repairs and is dramatically cheaper than building a c-train line or a grade separated interchange (approximately $80 million per). Furthermore, more cyclist will be encouraged to commute into downtown through the separated cycle tracks—cars, bikes and pedestrians all have their place and are separated creating greater safety for all three. Thank you for taking the time to read this and contact your Member of Council. Shot from Harley's ride in the NW today. First 'On the Road' fun of the season, Crankmaster 20km ITT, THIS Sunday. April 6th 11am. UPDATE! 1.) Realize there are going to be a ton of people there doing this for the first time, so if you are one of those people, don't be intimidated to come and try it out. If you are a club member and have done this in the past, and you see someone who is obviously a first-timer, introduce yourself and give them a hand. You DO NOT need STC jersey or shorts. Wear whatever you want. 2.) You need to get a Crankmaster SECONDARY membership. This makes sure they know you have the right insurance in place to take part in these events. This secondary membership is also the entry fee for the amazing 15-event Wednesday Night Series. So once you lay down $35, you are good to show up at 17 races! Now THAT is a good deal! Follow this link and purchase the SECONDARY membership. They also have a great social night at the end of the series to celebrate another year. 3.) On Sunday, pump up your tires, check your brakes, and show up at Hamilton Blvd and Highland Park Ln, just north of 567 and east of highway 2 in Airdrie. It will be obvious once you get there. Try to get there no later than 10:30am. 4.) Have a great time and go hard! Don't worry if you haven't been on the road yet this year. Most of us are in the same boat. Come up to Airdrie for this year's first 20km Time Trial. If you are new to the club and would like an introduction to cycle racing, this is the perfect opportunity. In a time trial, you start at 1 minute intervals and cover (in this case) 20km as quickly as you can. There is no peloton riding and drafting isn't allowed. It is perfect if you want to get outside, meet people, and test yourself at the same time. Dan is going to ride from Calgary, do the event, and ride home. Dan, do you want company? If so, post it in the training forum. Don't worry if you feel like you are in no shape to race yet, everyone is in your situation. They hold the exact same race on Aug. 8th so it is really cool to see your time difference after a summer of riding outside. LOTOJA 2014 Janet wants company! "At Dawn on Sept. 6th 2014 over 1,500 cyclists from across the U.S. and five foreign countries will pedal away from Sunrise Cyclery in Logan Utah for a one day, 206-mile (328km) journey to Jackson Hole WY in the 32nd Annual LOTOJA Classic. Held every year since 1983, the popular, one-day bicycle race has cyclists ride through some of Utah, Idaho, and Wyoming’s most challenging, yet spectacular terrain. They climb three mountain passes within the first 110 miles that total nearly 10,000 vertical feet before crossing the finish line at Jackson Hole Mountain Resort within sight of the iconic Grand Teton.” (taken from a Mountain West Cycling Magazine). Registration is done by LOTTERY and it opens TODAY until April 9th, it would be so cool to have a Speed Theory Possé down there. I have trained in the area and the Teton pass is spectacular, the climbs are nasty good and the descents fast and pretty technical with 1500 riders. What does Janet hope to do it in…? 101/2 - 11 hours and “Sucking a lot of Wheel”. I scoped this out last year and my intention is to fly down 2-3 days before the race to get acclimatized and then perhaps fly out of Jackson the next day, they have a small airport right there, accommodation at the start line is good at the Best Western, I will be booking my room later this week as the rooms get booked quickly and you can always cancel. I will be trying to organize a support vehicle, so if you go to www.lotojaclassic.com and you want to jump in use my name. and as a support vehicle info. ML 350 license # BCM 0290, dark grey. It is a lottery your card is only charged once you are accepted. This is the Strawberry Summit that I climbed solo last year in 42C it was a gooder and the descent is fast, I guess during the race this is the one to attack on both ends to separate you from the pack and stay on a wheel. 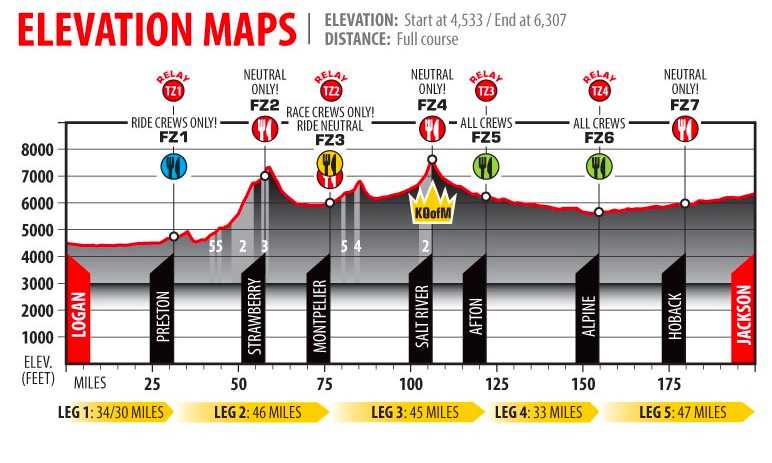 Then you only have Geneva Summit, Salt Water Pass KOM and then a few canyons to climb out of that make Norquay look pretty doable…., Giddy Up!